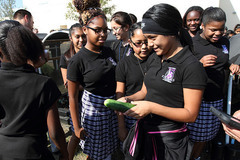 Is farm to school on your resolution radar? If not, it should be! It’s a new year and there are countless ways to take small steps toward farm to school success in 2017. You might resolve to expand your classroom library with agriculture-focused books, harvest spring greens from your school garden and feature them in your salad bar, or make a local farmer a celebrity by engaging them as a speaker in your cafeteria. 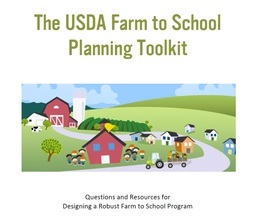 No matter where you are on your farm to school journey, the new year is a great time to reflect on accomplishments and set goals for the future. But don’t most resolutions fail? Here are three tips to make those resolutions stick. Start small. 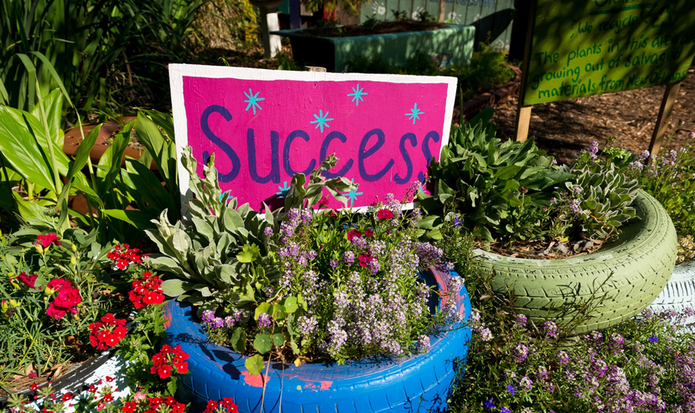 You may dream of a district farm, but starting with classroom container gardens is a great first step. Focus on one goal at a time. By focusing on one change at a time, you are better able to dedicate the time and resources needed to achieve the goal. Ask for support. Identify your skills and engage partners who can fill the gaps. Working in a team fosters creativity and learning, builds trust, and promotes a sense of ownership, which may contribute to a more sustainable farm to school program. Experts believe that talking about your goals and celebrating milestones along your journey will increase the likelihood of long-term success. So share your #Resolutions2017 with @USDANutrition or email us your 2017 goals at farmtoschool@fns.usda.gov. We will share resolutions and successes through our e-letter and blog throughout the year! 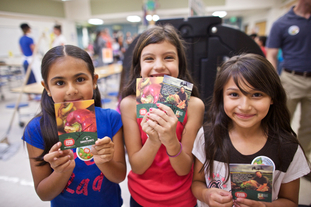 Farm to School Grants aren’t the only USDA grants available for farm to school efforts. Boulder Valley School District is one of the first schools in the country to be awarded a Local Food Promotion Program (LFPP) Grant. LFPP grants support local food business enterprises in order to increase access to local food and to develop new market opportunities for farmers and ranchers serving local markets. Boulder Valley School District received a 2016 LFPP implementation grant for $223,948 over three years to expand local food promotion and education so increase the school community’s awareness about local food. In late December, USDA published results from the first ever Local Food Marketing Practicing Survey. Results show that in 2015, farmers produced and sold $8.7 billion of local foods directly to consumers, retailers, institutions, and a variety of local food intermediaries such as food hubs, distributors and wholesalers that market and sell locally branded products. Of this total, $3.4 billion, or 39 percent, of all local foods were sold to institutions such as schools, colleges, universities, and hospitals, and other local food intermediaries. The survey found that nearly 60,000 farmers and ranchers sold local foods to institutions and intermediaries. The western region accounted for the great sales to institutions and intermediaries ($1.2 billion) while the southwest region accounted for the least ($112 million). One of the first common elements is a dedicated garden committee. The committee can include teachers, parents, community members or school support staff. It’s important to have certain duties assigned to each member. For example, there needs to be a point person who reaches out for help when needed and maintains accountability. This is important because if the garden is funded by outside resources, such as grants or corporate sponsors, certain benchmarks must be met. I have honestly tried to talk some schools out of pursuing a school garden because they didn’t have a committee structure in place. The committee is important for success.